Re-mastered from original masters. Heavyweight 180 gram vinyl. CD special edition. Liner notes by Kim Gordon. British post-punk band. Years active: 1977–1984, 1993–present. 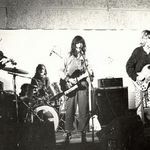 The original line-up of the Raincoats was Gina Birch on bass, Ana Da Silva on guitar, Vicky Aspinall on second guitar/violin & Palmolive (Paloma Romero), who had just left the Slits, on drums. Palmolive left shortly after the release of their first album in 1979 and was replaced by Ingrid Weiss. New band members Anne Wood & Heather Dunn replaced Vicky Aspinall & Ingrid Weiss to record a new EP and an album (Looking in the Shadows).